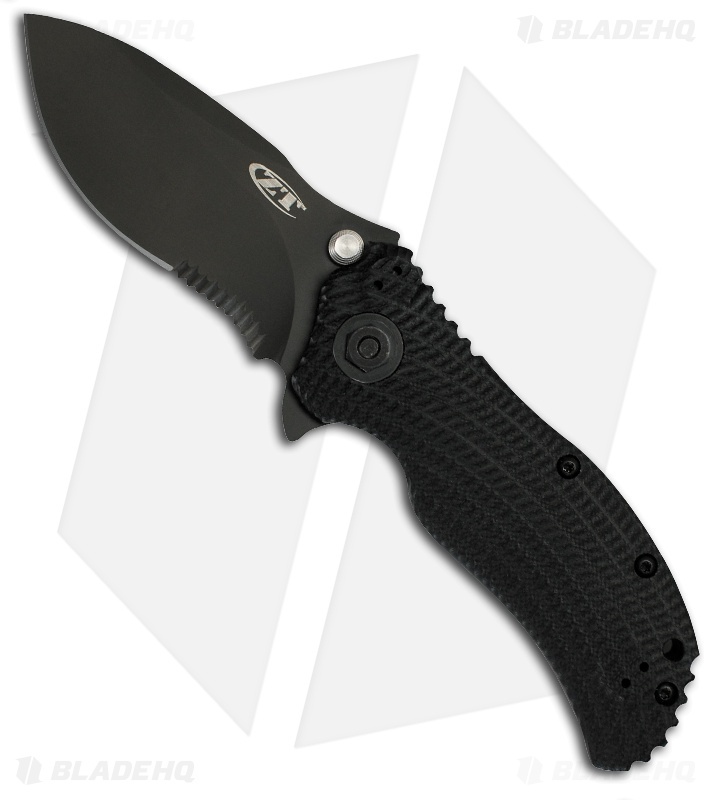 The ZT 0300ST folding knife was co-designed by KAI's Ken Onion and Strider. This Zero Tolerance is a rock solid folder that features SpeedSafe assisted opening for quick blade deployment using the ambidextrous thumb stud or flipper/guard. The recurved drop point blade is S30V stainless steel with a Tungsten DLC finish and partially serrated edge. The 3D machine textured handle is a titanium framelock design with a black G10 front scale over a steel liner. Adjusting the pivot while in the field is simplified by the addition of a 3/8" hex head shaft. 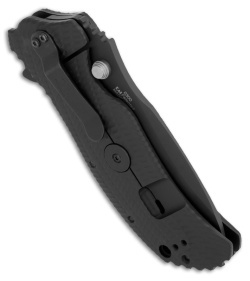 The pocket clip is 4-way reversible for tip-up/down left or right hand carry options.